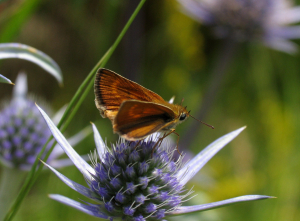 Observation - Butterfly - Lulworth Skipper - Global. Description: To compare with previous postings. Not seen in the UK but in north Spain a few years ago. To compare with previous postings. Not seen in the UK but in north Spain a few years ago.